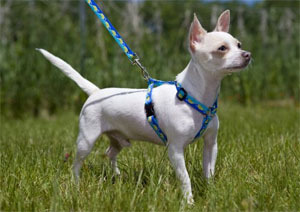 1/2" Roman-Style Harness A true non-restrictive harness, ideal for small, fragile dogs. Adjustable shoulder straps help to reduce strain on the neck and back. Available in girth size ranges: 9"-14" and 12"-20"